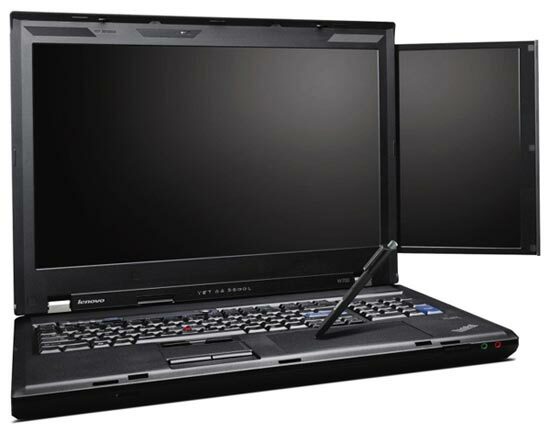 Lenovo has revealed details of their latest laptop, which will feature dual displays, the Lenovo Thinkpad W700ds. 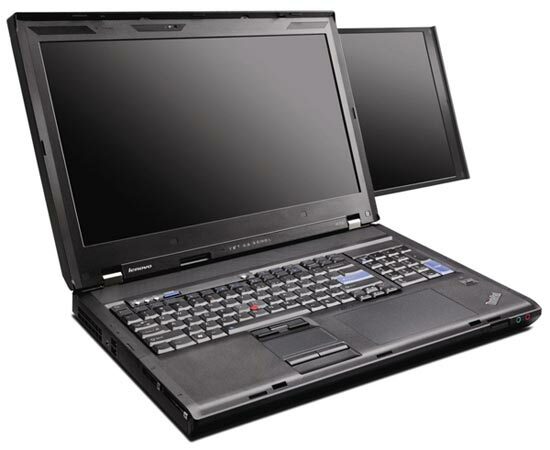 The Thinkpad W700ds features a primary 17 inch LCD screen, with a secondary 10.6 inch screen. 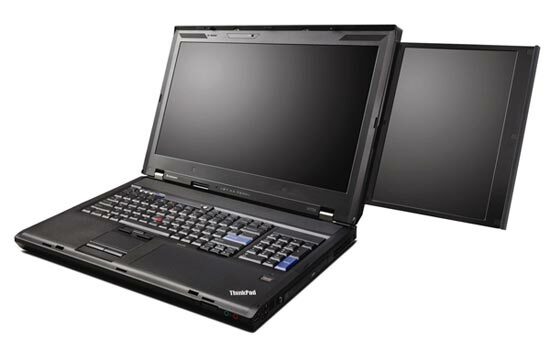 Other specs include a choice of Intel Core 2 Quad processors, up to 8GB of RAM, an NVIDIA Quadro FX 3700M GPU and up to 960GB of storage in the form of either SSD or HDD. Prices start at around $3,600, and it isn’t going to be the lightest laptop to carry around, weighing in at 11 pounds, mind you it does have two displays which is pretty cool.